I think the desired result of those with loads of talent, such as you two Bruces, is quite different than for we humble masses. It’s hard to relate to that degree of ambition and focus if all it’s good for is being senior regional manager or something like that. My horizons don’t go much beyond being glad if my arthritis isn’t flaring up and I found a good book. And I gave up playing stringed instruments when I got stuck a few bars into “The Ballad Of Jed Clampett” on banjo. The principles in the book still apply to anything you choose to do — however ‘humble’. ‘Senior regional manager’ sounds pretty impressive. I’m not even in charge in my own house — and there’s only me and the cat. Like many people, I too am often bowled over by Bruce Lee’s intensity and drive. But so much of what makes his martial art and philosophy work is to do with stripping away, letting go and relaxing. And the way Bruce Lee healed his back would certainly help deal with less dramatic issues — I am not without aches and pains myself, and anything you can do to manage things helps. There’s not much wrong with your ‘horizons’ – as you still have the most important thing in life – a sense of humo(u)r.
Finding a basic principal or precept that applies to a given situation is the key, though often an allusive one. I think I’m sold. Off to Amazon. B.o.A. – perhaps I can help with the Ballad of Jed Clampett, if you are still interested. Or have you already applied Dirty Harry’s basic principal? I have already invoked that one on the aforementioned game of golf. I will take issue with B.o.U.K suggesting that there is such a creature as an “effective” golfer. In my opinion, the winner of any given tournament is the least ineffective golfer. There’s no such thing as failure – only learning. I already am an effective musician, though it is rarely the desired effect. Creating the desired effect is probably the whole art of anything in one sentence. Would this be of general interest to someone who has had little affinity for martial arts and, at least for the moment, doesn’t seem inclined to do so in the future? Very much so. In fact this book would benefit anyone – even someone who had no intention of ever taking up a martial art. The principles behind being an effective martial artist are the same as those behind being and effective musician, or golfer — or human being. 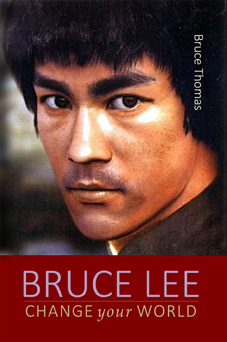 The philosophy behind Bruce Lee’s work is entirely transferable to any human endeavour. I figured as much, but thought I would verify. Some biographical works tend to focus way too much on the specifics of their subjects pursuit and miss the general applicability of that person’s approach to his chosen field. I think this marks the first serious question or comment left on these pages. Sorry it took so long. This book and the one before it are for general readership and universally applicable. I still use the English-English ‘our’ spelling.